Closets. No one walks in your home and sees them, no one oooh’s and aaaah’s at how nice they look or marvels at how organized they are. But YOU do, or at least I do. So make your personal closet special, because you can spend a lot of time in there hiding from your children. 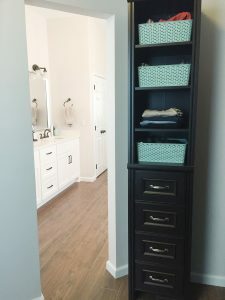 When we decided to remodel our master bath it made sense to do our closet too. Did it function? Sure. Was it pretty? Definitely not. I absolutely LOATHE builder basic closet organizers (or lack thereof). 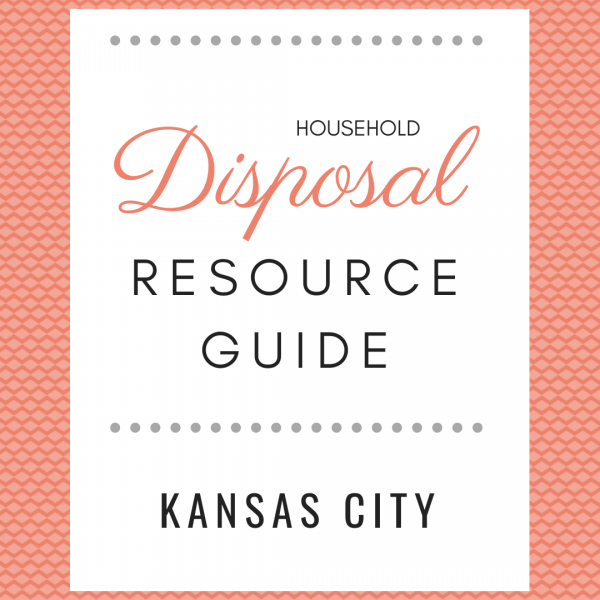 In our last house we ripped out every single closet and put in new organizers with hanging and shelving space and lovingly referred to the mound of debris in the basement as the trash pile (don’t worry, we got rid of it eventually). 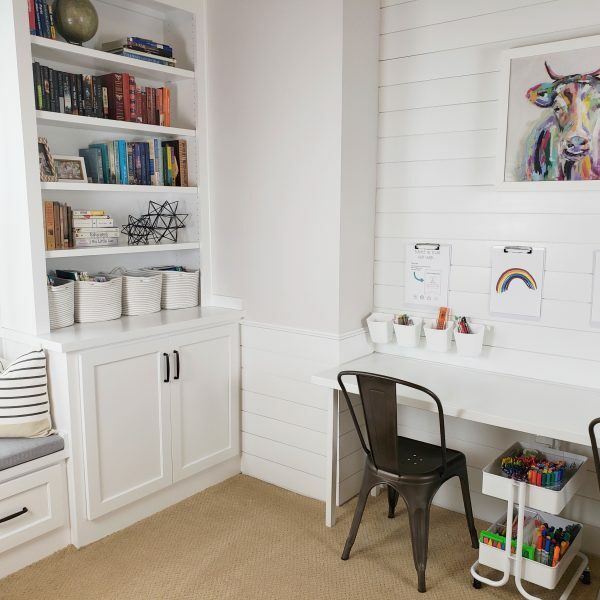 Not only did the closets look nicer, they were more functional and appealed to potential buyers. I like IKEA’s PAX system. It is uber customizable and there are so many options, but I had to pass up on it for two reasons – height and spacing. The units I would have needed were nearly 8 feet tall. At 5’2″ I was concerned about my ability to utilize the highest hanging bars. The units are also like boxes in that they would not have run wall to wall, leaving a small gap where I feared my children might deposit any number of small items that would never be seen again. In the end, I went with the ClosetMaid Impressions Collection which utilized a combination of boxed storage units and customizable shelves/hanging bars that would run wall-to-wall. We added the closet to the bathroom renovation for a few reasons. Mainly, it was more convenient to get the same look throughout the space in one round of renovation (paint, floor, trim, etc.) than in two separate go’s. Since we were putting in new floor tile I wanted it to run seamlessly into the closet. Most closets are not tiled, but the carpet was getting pretty junky around the edges. It’s hard to clean along baseboards in general, but especially when there are clothes everywhere. It is so much easier to run a mop through at the same time I am cleaning the bathroom! Because I clean so often….um no. Bonus: When your home is organized it APPEARS clean to the casual visitor (as long as they don’t run the white glove test you are in good shape!). You might say 4 laundry baskets is a bit much. I would say you’re wrong and shut your filthy mouth. Actually, 4 probably is a lot, but I had the space and it makes my life easier to pre-sort everything. I like, no love, matching hangers. So I ditched all of the old plastic hangers in favor of wood and velvet. I used wood hangers for my heavier garments (like hoodies, suits, and pants) and went with velvet for everything else. The velvet hangers are AWESOME, no more misshapen shoulders which means I can hang more items that I used to fold. I also picked up some vinyl shoulder covers for my suit jackets. Once upon a time I wore a suit to work everyday. True story. While I still have the same job, I now work from home and am lucky to have showered and dressed before noon. To keep from literally dusting off the shoulders on those rare occasions when I have to get fancy, the shoulder protectors do the job for me. That means less dry cleaning, yay! Can we talk shoe storage for a minute? These dark wood shelves get seriously DUSTY and I am not about to lift every single shoe to dust the whole darn shelf. My solution? 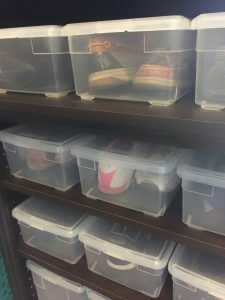 These clear shoe bins from The Container Store not only make cleaning the shelves easier, but keep my shoes dust free as well. Also in shoe news is this wonderful basket with 2 wide magazine files for storing my sandals. 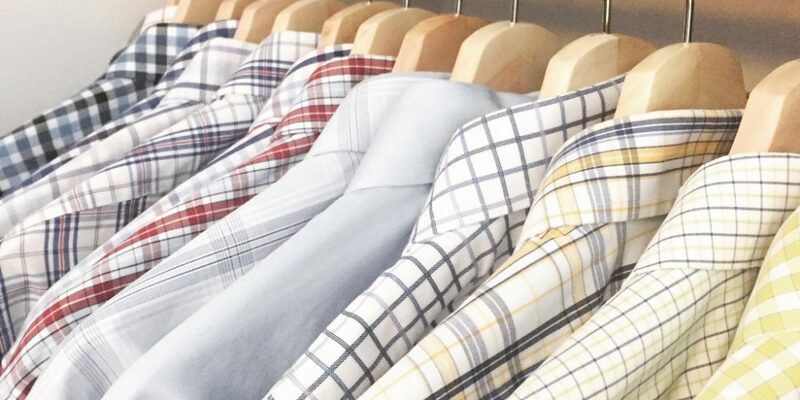 Being able to store them upright makes them easier to see. There used to be a door to the closet that was just annoying and needed to go. The door was never closed and took up wall space that could have been used for storage. Now that wasted wall space has a new storage tower that holds all of my accessories – bags, purses, jewelry, belts and scarves. So much more functional! The third tower for folded clothes got some tidying too. 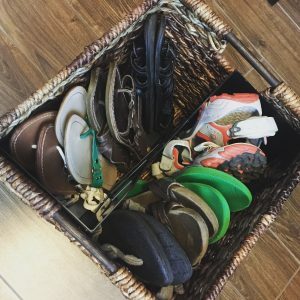 If you’ve never tried the KonMari folding method I recommend giving it a shot. 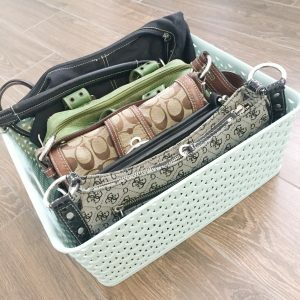 There are a bunch of graphics on Pinterest to help you get started and the end result is a tidier drawer where you can easily see everything stored inside. If you’re like me, your bathing suits are a jumbled mess. Thanks to some creative folding and this storage box from IKEA, everything is now organized. My husband’s side of the closet is just as pretty as mine. He got all wood hangers since I wasn’t worried about any shoulder shaping issues and some organized drawers as well. Hangers and drawer organizers are all from IKEA, which means its super affordable and gets the job done. Hope you’re as inspired as I am to make the most of your closets. Happy organizing!